I've been waiting to write this piece for a while (8 months), because I've been afraid my wonderful product would stop working on my skin and I'd have to retract all my statements. Luckily, the results have stuck, and even after I've diminished the use of Epiduo by half, my skin still stays fairly clear. But let's back up. What the heck is Epiduo? Epiduo contains two important active ingredients: adapalene (0.1%) and benzoyl peroxide (2.5%). Adapalene is a synthetic retinoid - its job is to exfoliate and decrease inflammation. The benzoyl peroxide is an antimicrobial; it helps prevent breakouts by killing bacteria. Here's some more information on the active ingredients: one & two. It was brutal. You need to be prepared for it from the beginning. It took almost two months for my skin to adapt and clear up - the only reason I stuck through the pain was because of reviews I read online. This is what most people experience. Even the Mayo Clinic pointed out that products with adapalene take 12 weeks to work, and your skin will look worse before it gets better. In my case, it got SUPER dry and cracked, everything was red on my face, and it was quite painful. My skin would just peel off, and become hypersensitive. Even when I loaded up on moisturizer, I'd wake up with raw, cracked skin. At one point I even used the Body Shop's beautifying olive oil all over my face before bed. Nothing really works during those first few weeks of doom. Good luck with make-up; any type of foundation will look terrible over the patches of dry skin everywhere. Did I mention you purge? Oh boy, do you purrrge. Mine happened a few weeks in as my skin started peeling and the lower layers came to the surface. *sigh (stick with it though! this is suppose to happen!) Another problem I had, which I haven't read in any reviews, was the cracking around my eyes. I never went near my eyes when applying Epiduo, but it was so powerful that it didn't matter. I've always had sensitive skin there, so I should have seen it coming. 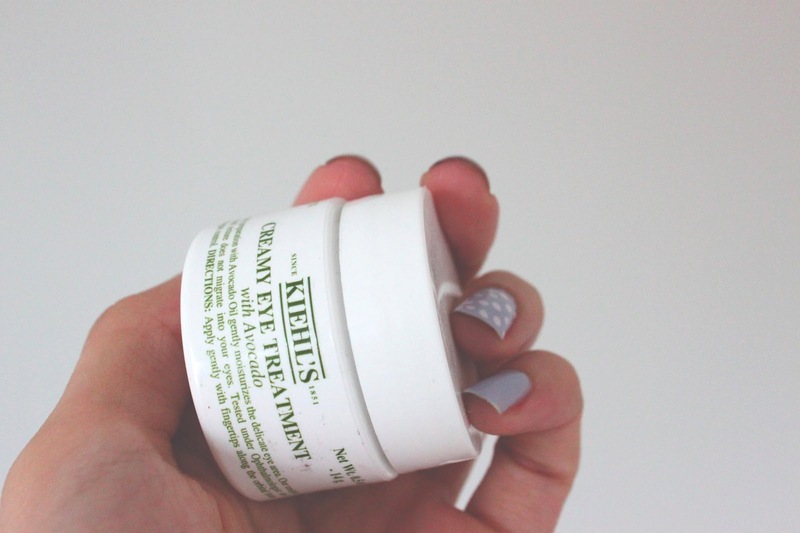 I bought Kiehl's avocado eye cream to help ease the pain, and it calmed down a little. I think this side-effect was the only one that was somewhat painful, because it burned so bad. So after my lovely epidermis had gone through hell and back with this damn product, my skin started getting really smooth and bump-free. I eventually figured out my method of application: do it every other day until you can handle daily usage. My skin enjoyed the break. With time, I stopped getting any reactions to the cream at all. It was like my skin got used to it... but only after shedding a bunch of yucky layers! Today I only apply Epiduo on the areas I know I break out, usually the sides of my face and forehead. Because I'm on prescription gel, I use sunscreen everyday. I decided to stick with Cetaphil Gentle Skin Cleanser, Cetaphil gentle face wipes (these are better than Neutrogena IMO) and Cetaphil oil-free moisturizer with SPF 15. Since Galderma makes both Epiduo/Tactuo and Cetaphil, I figured they would compliment each other. And that's that! I pray to the gods of science for creating such a great product. I can see now why some people just stop using prescription meds for acne, because it takes soooo long to see results! BUT IT WORKS, I PROMISE! UPDATE 2018: My skin apparently got really used to this retinoid, so I went to the dermatologist when my acne started flaring while on Epiduo, and I got placed on Retin-A (stronger retinoid). Worked again! My skin loves retinoids. My acne type is red, tender and deep (not superficial acne). I'm lucky I respond so well to retinoids, because this type of acne frequently requires oral medications and/or additional procedures. If you have any more questions just shoot me a message! What works on your skin? What are your holy grail beauty products? Interesting post! I just came across your blog and I love it :D Love those cute graphic details that makes it even better! I went through the same thing with this product but I gotta admit that all the pain and dry skin was worth it!! thanks for posting your story! I'm on week 3 of Tactuo and feeling a little discouraged. When did you really start to see a change in your skin? I know 3 weeks is not a lot of time and I know I need to keep going. Just wondering how long it took for you to really see some improvements. Hi Kim! I'm going to be brutally honest, my entire first month (maybe even 1.5 months) was pretty much terrible. Lots of raw cracked skin, and my skin was "purging". Keep pushing through! Thanks Chantelle.. I needed to hear that. I think I'm definitely still in the purging phase. Thanks again and I hope to have a success story to post in several weeks! Hi Chantelle, thank you for your post! Hey polski! You will being going through a purging phase as the chemicals begin exfoliating off layers of skin, and deep acne is brought to the surface. This happened to me, as I mentioned, it took 3 months for me to finally see clearer skin. Do not lose faith! Keep using it! Thank you for your reply Chantelle. This purging phase it really hard - it's been about a month of it, and it is still going. I have never seen my skin so bad :-( I called my dermatologist and, although I've heard of this phase from many Epiduo users, he didn't (nor did the receptionist) mention it and is now suggesting Roaccutane. To wake up one day with clear skin would be absolutely wonderful! Hi Polski, I don't know exactly what to tell you now. I really want you to truck onwards and see the rainbow at the end of the dark tunnel, but if this is not getting much better I'd really consider following what your dermatologist says. As I mentioned beforehand, it took a long time for me to get through the purging phase. I cried a few times with the pain. Terrible. The first month and a half was the worst, but it took the same amount to slowly clear up/see positive results to where I am now. Keep me posted! Hi Chantelle! So after about 4 1/12 months since I started the Epiduo (in combination with oral medication), I am finally seeing improvement! :-) :-) Since last visiting my dermatologist, I changed my antibiotics and also was given another oral medication. I have a lot of scarring from the past few months but it is moreso pink/red scars that will fade rather than pitting. Thank you for your support! Hey Polski!! I'm so glad to hear the product is slowly showing results. You can shoot me progress pictures if you'd like. My e-mail is up on the left side-bar! One more question for you Chantelle - did the doctor have you on anything else besides the Epiduo? Any oral medication? Thanks :) I'm just past week 7 and things are beginning to clear up (finally) but I still have a long way to go! Hi Kim! The doc didn't give me anything else, but I was already on birth control (BC has no effect on my skin over the years, so that's why I had to go more heavy duty with the topical cream). This is the post just what I was looking around. I've been suffering by skin acne from several days and now hopeful for getting relief. I'm glad my review has help a lot of people continue on with their prescription. Everyone must be aware of adapalene's 12 week window. It takes A LONG TIME to work, but if you're patient then the results are wonderful. And it's also much better than switching to 5 different products because you are inpatient, if you do that you'll never see the results you want! The skin is a large organ and it has many many layers to it. hi chantelle can you plz tell me how u sued this product such as what time of day u would put it on? hi chantelle, congratulations on the positive results. may you please tell me how you applied this product did you cleanse your face before putting it on? what time of day did you put it on? did you massage it into your skin like a moisturizer or did you let the gel sit on your face? I cleaned my face with Cetaphil beforehand. I usually put it on at night, a very thin layer and only on parts of the face I tend to break out the most. I massaged it into my skin. Don't put too much on or else you might start cracking your skin from drying it out. My best advice with Epiduo is BE PATIENT. Give it 3 months (or ~12 weeks). I have been on Tactup a week now. After the second night of treatment I developed black, stripped blotches under and around my eyes. I actually cried, I thought the gel was probably not compatible with my skin, although both my doctor and pharmacist told me it was going to get worse but this is not the type of worse I had imagined. My entire face itches, like hell and I have to try extremely hard not to put my hand in my face to rub the itchiness. I also use neutrogena ultra gentle daily cleanser to cleanse my face twice a day (once in the morning, to get the gel off) and once at night (before I apply my nightly treatment). 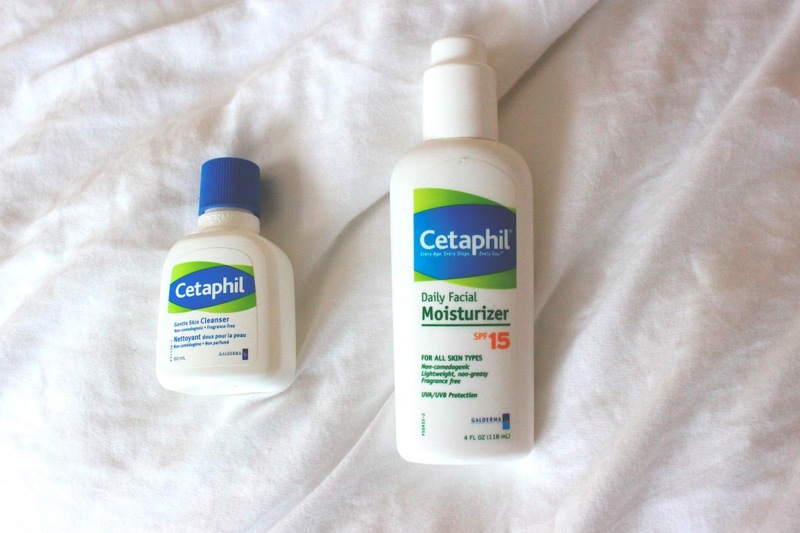 I also use Cetaphil oil control moisturizer (with SPF 30, I think this is a new version to the one you have). Both these I use in combination with my gel for cleansing and moisturizing my face. I hate my face right now and at time I find myself regretting this treatment. I know I have a long way to go before I see improvement as my doctor did warn me that I will see improvements in about a month and its only been exactly 1 week today. I came to google this product just to make sure that this is how it is suppose to react and not because my face was having an adverse reaction to it. It was calming to read your testimonial so thank you for that. I think you should call your pharmacist or doctor and leave them a message stating you're getting black blotches under your eyes. That seems really odd, and I recommend stopping until you figure out if it's safe to continue. I had slightly reddish skin around my eyes the first couple months, and it was all cracked and painful. As for the itchy dry skin, yes I had that too. It was brutal. If I had to go back, I'd decrease the amount I put on my face and instead us it 2-3 times a week until I could handle more. Also, keep in mind only a few dollops are used to cover your whole face. However, it still took me almost 3 months of brutal skin to see it clear up. (And when I don't use it for a couple weeks, I start breaking out a little, so I know this is the product that's working to keep my face clean). Keep me posted! I was wondering what you use to moisturize your face with and when you do during this cream's use? Also, how long do you have to keep using this? Is there ever a point where it can be completely stopped without breaking out like crazy? I'm sure there are results from this, but I don't know if it something that I want to use forever and have other side effects from it? I'm super cautious and nervous before I try anything! Also is this product for scarring as well? I break out due to hormones as well, and I can handle that, but I scar a lot, which I hate. I won't pick at it, and it will happen. I don't use a lot of products on my face, and usually try natural things...I'm finally starting a regiment that is more gentle though because I don't want to get my face used to anything or make it worse. Alrighty, I'm going to answer both your messages here. 1 - any moisturizer seems to be fine; I've used Cetaphil, Garnier, and Perricone MD. Neither had a reaction. I moisturize after applying the product at night. 2- I think you need to keep using this forever. I know that sounds terrible, but I use it much much less than I used to when I first started and needed to get rid of my cystic acne. Right now I'm down to a couple times a week and only on areas I know I get spots (AND ONLY A LITTLE). Instead of seeing this as a lifelong commitment, see it as a holy grail product that you'll use forever (like your fave toner, or a face mask you love too much). I know a lot of people who have used Proactive, Olay or Clarins for decades because it's the only thing that works/they adore; this is just the same way but prescription. 3- You like a simple routine, and so do I. I wash with cetaphil, apply this product, and moisturize afterwards (if I feel I need to). Usually I don't, because my skin has gotten used to the product. But for the first 3-5 months I'd moisturize every time I applied this at night, or else my face would be cracked and peeling in the morning. I mean, it still was. The first 12 weeks are brutal. 4- I don't think this product is for scarring, because I get remnant red spots after breaking out too, and this hasn't sped up the recovery. However, because it eliminated almost all my acne, I don't have to worry about scars happening. However, Bio-oil is apparently fantastic for scars, and so are exfoliative products. Epiduo is going to slaw off layers and layers of skin, and lots of breakouts are going to happen as the deep cystic acne pockets come to the surface. People want perfect skin without having to put in the time and repercussions of getting there; this process was not pretty but I felt it was 100% worth it. You can read more about my experience in the post, but also in the answers I gave other readers above. Your advice was helpful! Something to think about...u were a lot more helpful than my doc. Thank you and keep it up! Hi Chantelle! Thank you for your post, I refer back to it often for some hope and inspiration!! I am a month over using Tactuo and I haven't seen my face this bad since I was a teenager!! ( 26 now). I have been using Proactiv for the last several years but noticed just over 2 years ago I would get horrible cyst pimples (1-2) a week before my cycle. Proactiv doesn't seem to rid them so I assumed I needed a little more help. I finally said enough was enough and asked my doctor for her opinion on Tactuo, she warned me about the redness and itching and encourage me to try them out on the cysts. I did that for a week and then started using the gel on my entire face at nights. Today, my face is like a burning pit! !, I thank God for makeup because it is so red at times,everything you have experiences about the pain, the soreness, the flaking off skin is happening and yes, it is like every other day a new nasty cyst one forms in just the worst places( chin, nose, cheeks urgh) I am guessing my skin is going through some sort of purging process so I am consistent on my Cetaphil Lotion and Sunscreen to improve the dryness. All in all, I am determined to see the results and hope my skin improves, I am giving Tactuo 2 more months! Thank you again for your post! I am COMMITTED, though my face looks upset at me now, it will thank me later haha!! I'm so glad to hear you are committed to the process. And just like you mentioned, it was totally hell for the first few months. I teared up a few times because it burned my face so bad; it really is a brutal process. Keep me posted in another month! You can always par down to every-other-day for skin "vacation". Hahah! Hi Chantelle, I used this product for the past 3 months. I also had to endure the burning and cracking of my skin. This product really works for me. I get cystic acne lesions and this product has been my savior. When I've missed a couple days I do notice breakouts so I try to stay consistent with my regimen. I also use other cetaphil products, the cleanser and moisturizer with spf. Thank you for this post Chantelle! I just started Tactuo about 2 weeks ago, and my face has never felt or looked worse before. I have been feeling super discouraged about this product, even my family is a little bit worried for me and wants me to stop using it. After reading your post, I'm feeling a little bit better about it and I think I will give it a chance. My symptoms right now are mainly redness, burning, itchiness, and peeling. When you used this product, did your face initially experience puffiness? I have been noticing that on my cheeks and was wondering if this is a reaction to the medicine or if this is a normal part of the process? Hey anon! I pretty much had the burning, itchiness + peeling symptoms you're experience for a long time (more than a month). I did not, however, get puffiness. You may want to call your doctor or check in with your pharmacist. Perhaps try decreasing the amount you put on, or the frequency, or both! (Ie/ a nickle-size every 2-3 days, instead of a dollop every day). Keep me posted! I'm so glad I found this. I have been using Tactuo for a little under a month and I have noticed that my acne kind of fluctuates. Somedays it will seem to be almost gone, other days it will come back in full force. Full disclosure, I quite taking the pill in September to get an IUD, and my dermatologist thinks that this is part of the problem. I am wondering if you experienced something similar or if this was part of the process for some people? I have never had acne before (even before taking the pill) so this is all quite discouraging. Thanks for your blog, it's great! Hi Drea, sorry for the massive delay in responding. I totally forgot there were answers in these older posts. My acne fluctuated only slightly in the beginning, but I would constitute that as my 'purging' phase. By 3 months it was fully clear! I'm just about to start using Tactuo tonight. My derm told me to only use a pea-sized amount for the entire face. I have been using Clindoxyl until now and it was the same thing - pea sized amount; when I tried to use more, my face would burn. I know it seems like really little, but perhaps that's why everyone is experiencing such painful results? I definitely used more than I should have, and that's probably why I got such extreme burning and flaking. I would say stick with what your derm told you, and also take breaks for the first few weeks. Start off every other day and then work up to every day. I found that was my best routine once my skin cleared up, but I still use more than a pea size. I feel like that can't cover my entire face! 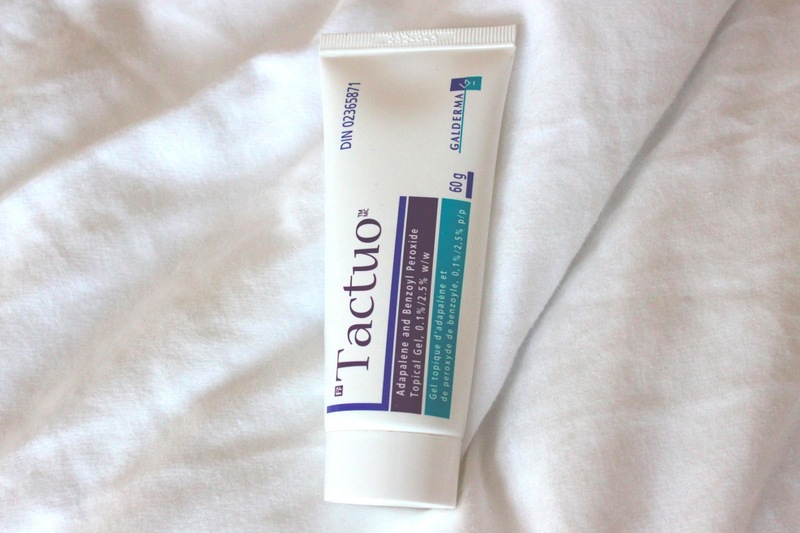 Doctor has me trying out Tactuo because I said I've been breaking out far more than usual. It's been two weeks and my face, despite the dryness that I quickly remedied with moisturizer, looks like it's trying to heal already. I think the medication is giving my skin a break and allowing the spots on my face to heal before new pimples can appear. It already appears to have deflated my pimples and my face is smoother. Despite the itching, occasional burning, and the fact that my face is still very blotchy, after what everyone else is saying, and the changes I've been seeing gradually, I have hope that this may just clear my face up (finally)! Keep sticking with it girl! It takes a long time for your skin to regenerate itself, I heard something like a month. 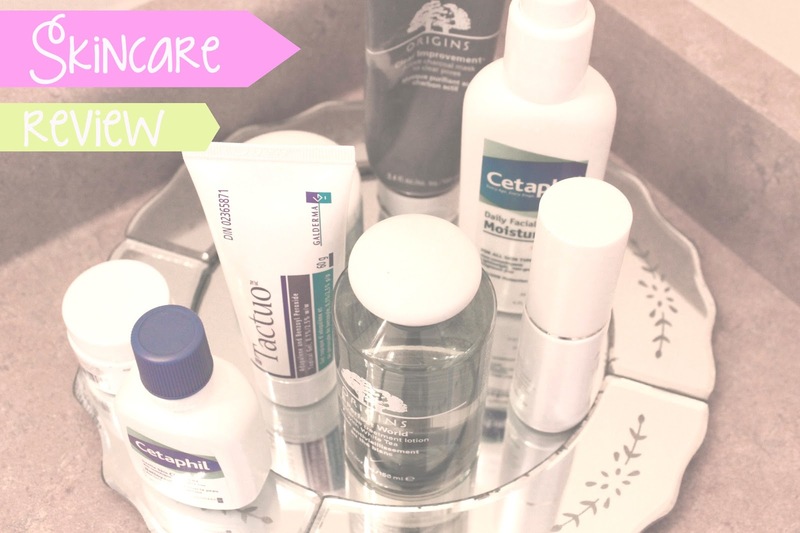 So patience with skin products is key, especially with deep cystic acne. This review is very helpful. I just wanna ask when do you use tactuo before or after moisturizer? Cystic acne can affect the face, chest, back, shoulders and, occasionally, upper arms. Like pimples, which are more common, cysts are usually filled with a white pus-like substance. They are usually several centimeters in diameter, and can be quite painful. Click here: skincaretour .